Why is the media ignoring the disaster in Africa? It is now a week since Cyclone Idai trundled ashore and cut a devastating swathe through Mozambique, Malawi and Zimbabwe and while the official death toll stood at around 350 on Wednesday, it is obvious on the ground there that many thousands have perished and many millions are affected by its aftermath. But obvious facts on the ground in places like Mozambique, Malawi and Zimbabwe do not translate into attention in the eyes of a media who look at world events through the myopic lenses of the West. Sadly, the reality is that to a large extent, the world’s media is focused on events elsewhere — the political happenings in Washington and Westminster, the shooting in Christchurch and Utrecht — than it is on the natural disaster unfolding across south-east Africa. Indeed, this cultural and coverage bias also views south-east Asia as a blind spot, with little coverage there of the world’s largest democracy voting, the refugee crisis endured by the Rohingya, or other natural disasters that befall people there. There is also a reality too that in this age of Facebook, Instagram and SnapChat, the serious nature of news events gets lost in the avalanche of cute cat videos, cleverly created memes and gifs of great comedic value but worthless of any other consideration. How often have clips of Mozambicans clinging to trees waiting to be rescued or survivors screaming to be rescued from muddy enclaves been shared by the countless millions who use these social media platforms? The current crisis unfolding in Mozambique and Zimbabwe in particular will tax and test the ability of humanitarian agencies and international aid organisations to provide both immediate logistical and emergency assistance to the tens of thousands who require it now. 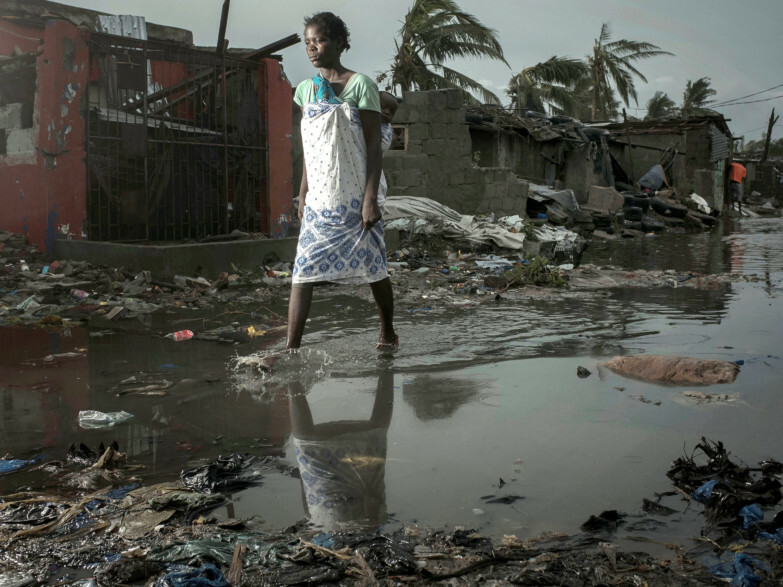 Sadly, the media’s failure to fully report the extent of the crisis, its toll, the full implications of Cyclone Idai on water, on food supplies, the threat of cholera and the sheer lack of resources faced by overwhelmed government bodies on the ground will result in more hardships. Given the way our natural world is being changed by our habits leading to global warming, cyclones and hurricanes are becoming stronger and more frequent, and weather events are becoming more unpredictable, and more disasters will befall more people highly vulnerable to such events. But if there’s one thing that is true about media bias, the more frequent events become, the less newsworthy they are held in the eyes of those responsible for the 24-hour news channels. If there is a lesson to be drawn from this, it is that 48-hour cyclones don’t cut it in a 24-hour news cycle.